With The Blinders having plenty to celebrate, Getintothis’ Lauren Wise catches up with the newly adopted scousers. 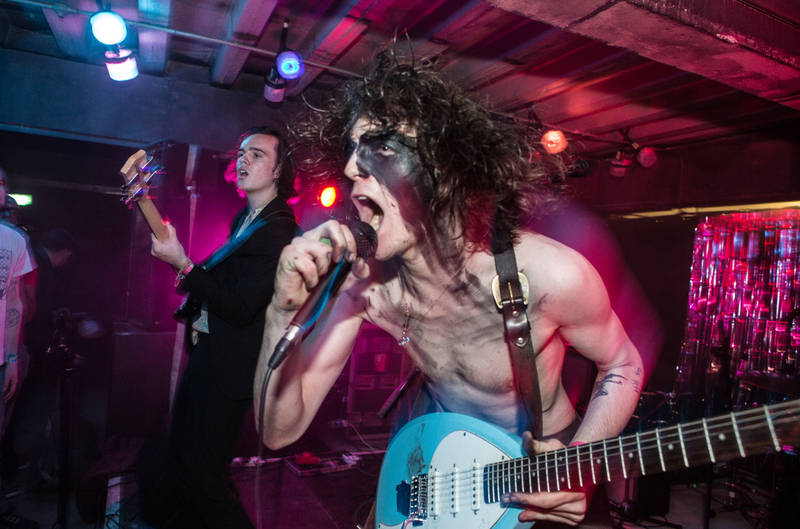 The Blinders conquer every venue they play. With a well-formed punk sound that spits with political rage and an explosive youthful energy, it was inevitable that the Doncaster hailing three-piece would soon be snapped up by a record label. The lucky label is Liverpool-based ModernSky UK, headed by Sound City’s David Pichilingi. The company is the creation of a recent partnership between David and the mind behind Chinese-based music label leader Modern Sky Entertainment, Shen Li Hui. With its own huge annual event, Modern Sky Festival, as well as signings such as Lenka, Re-TROS, Phonat and Queen Sea Big Shark, the collaboration is one that promises to have a lasting impact on the UK’s music scene. The news follows last year’s announcement that Modern Sky Entertainment had become the sole global partners of Sound City, sparking the beginning of a fruitful partnership between the two music powerhouses. The next step saw the formation of ModernSky UK, keeping Liverpool at the forefront the changing music industry. Their latest signing is just one in many as Yorkshire trio, The Blinders, join a number of new recruits to the recently formed label. Alongside them at ModernSky UK HQ are Liverpool-based psychedelic folkers FUSS, Blackburn quartet Violet Youth, Glaswegian pop dreamers Catholic Action and promising songstress Pixey. You can catch them and their label mates here on the ol’ playlist. We chatted to Tom Haywood, frontman of The Blinders, to hear about the signing, their best gig of the year and their upcoming support slot for The Charlatans. Getintothis: Congratulations on your partnership with ModernSky UK! How did that come about? Getintothis: What aspect of working with them are you most looking forward to? Getintothis: You mentioned that the partnership will allow you to release your art in a way unimaginable before – can you give us any clues as to what that will entail? Getintothis: How do you feel to be supporting The Charlatans at Nottingham Rock City? Getintothis: What upcoming show are you looking forward to the most, and what show has been the best for you in 2017? The Blinders: “The Doncaster show at Social Bar that we have planned for Christmas time is one to look forward to. Our native town never fails to give us a warm welcome. We miss that place very much at times, so it’s nice that we may go back and forget about the rest of the world for a night or two. Getintothis: You’ve had loads of achievements this year, what’s the biggest one for you all (so far)? Along with a supporting The Charlatans at Nottingham Rock City at the end of November, The Blinders have a UK tour lined up for February which will stop off at Glasgow, Manchester and London among many others. You can buy tickets from here.